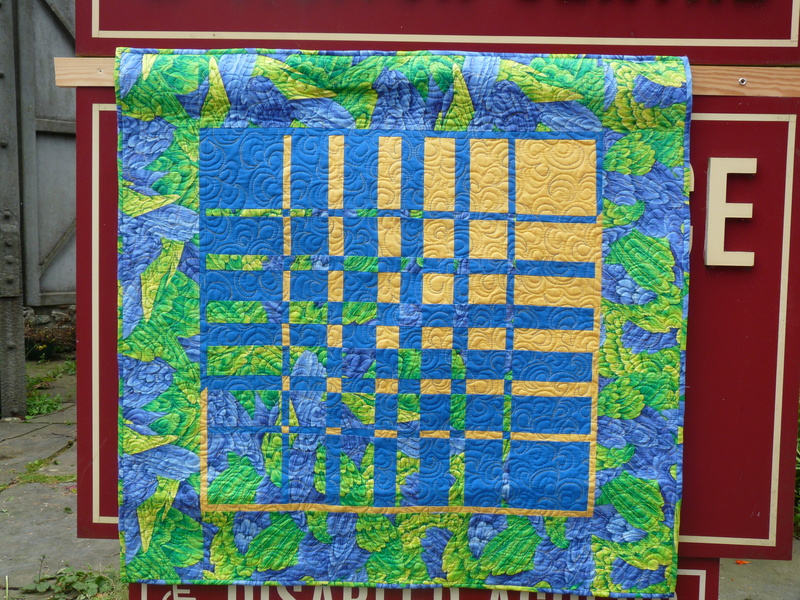 I thought that I would post some pics of quilts that we have made or of samples from classes and of students work. If you see one that you like and would like to come to a class to do, let me know as I can re-run most classes if there is enough interest. The first Class that we ever ran was of a Summer Lovin’ Tote bag by Tracy Ankers. It was really popular and definitely one that I would consider running again if enough interest was expressed. 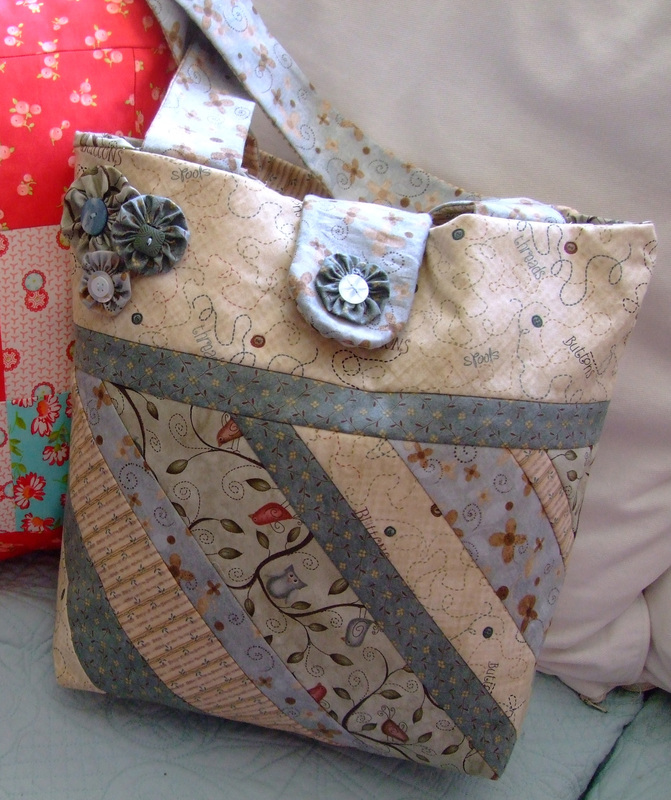 Most ladies finished their bags so I was able to take some snaps for the gallery. Not everyone got their Suffolk Puffs stitched on but as you can see in the slideshow, whatever the fabric they all turned out beautifully. 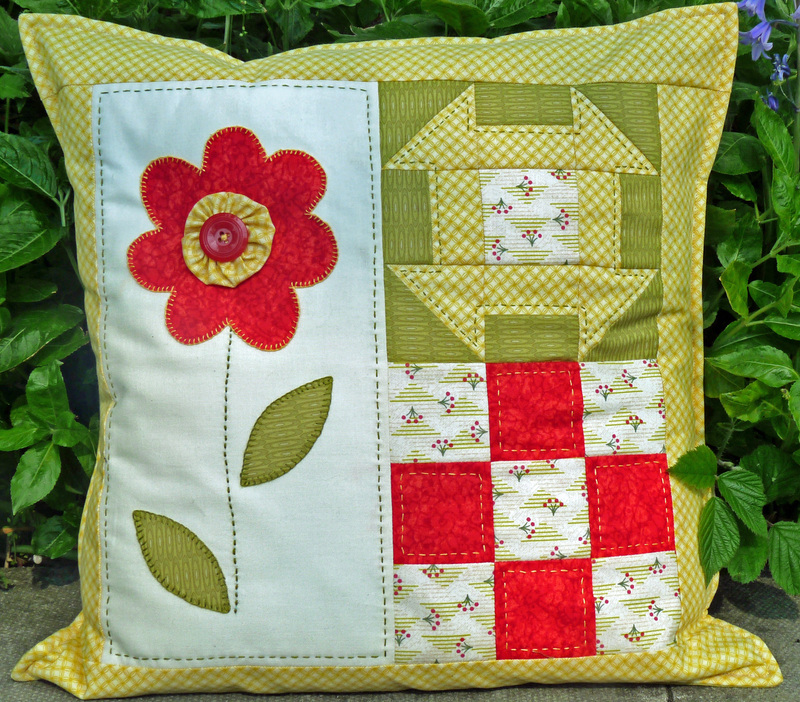 This cushion was designed by Michaela Smith of ‘One ginger Tom’ it was taught twice as an absolute beginners taster day. Students stitched the whole thing by hand so no one needed to worry about not having the correct equipment, everything was provided by us from an identical fabric pack to needle and thread. About 20 people took part, many of whom then went on to join the beginners sampler quilt course. The pattern is still available from us either as pattern only or an identical kit. We are going to do a similar thing again this summer, Michaela is already putting it together and I will post a picture on the classes and workshops page as soon as I have the sample. This table runner proved to be an incredibly popular class, at first glance it looks like a Christmas project, however once people had chosen their fabric you could see the different seasons bounce off the work tables. Tracy Ankers strikes again! 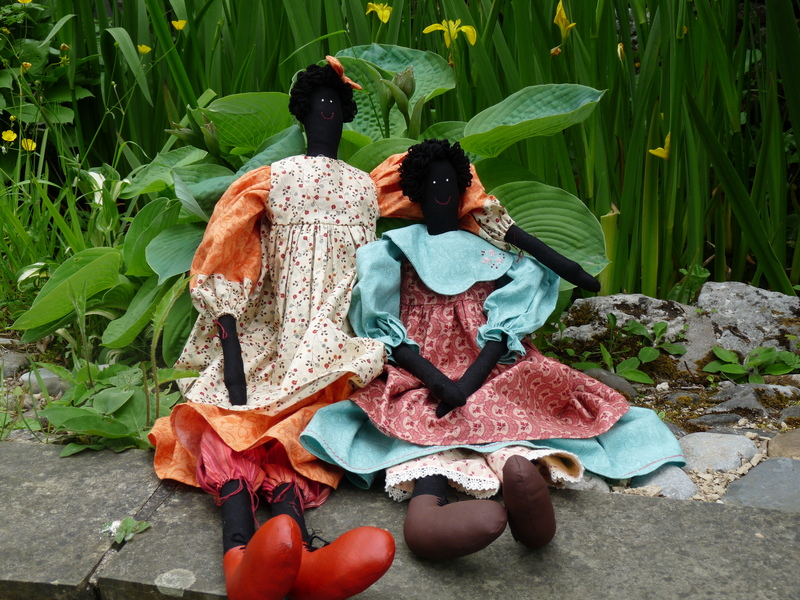 Michaela Smith came and taught us how to make these lovely dolls. We ended up with an array of nationalities in an array of beautiful dresses. I suspect Michaela will be back to repeat this class at some point so if you are interested let me know and I can add your name to the list. 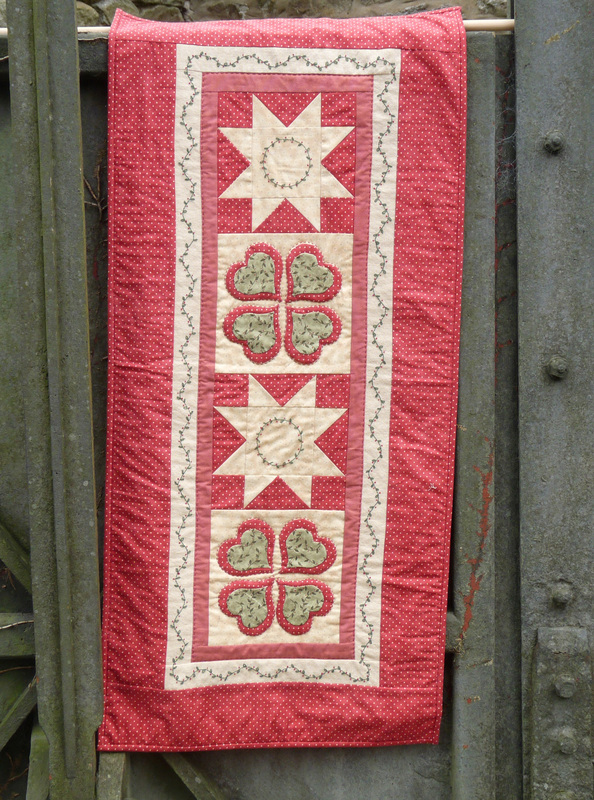 Denise Maguire came and taught this convergence quilt, it is a really addictive design which makes you use your brain. My daughter Natalie made one, she was so thrilled with it by the end of the day that she can’t wait to make another. 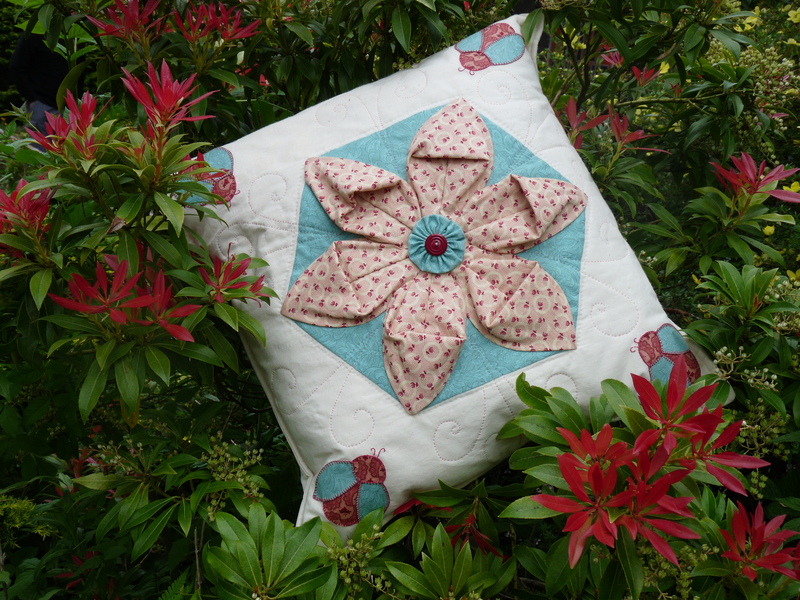 Michaela Smith visited us again and showed us how to do this Jennie Rayment style cushion. Nine people came and everyone chose different fabrics all of which looked sensational. It took most of the day to make the cushion front, no one completely finished but all were well on their way by home time. Hi when will i be able to get the fabric to make ( Hare affair) and (Pleasant Pheasant). Web site seems to be down and or closed. Hi the website is closed for tinkering purposes and will be open again soon. In the meantime we finished our first batch of hare kits on Friday and will be ringing round everyone this week. Yippee!